The Full Moon Total Lunar Eclipse arrives at 4 degrees of Aquarius on Friday, July 27 at at 4:20 PM EDT. We are perhaps in one of the most intense and prolific ecliptic cycles in decades. As all eclipse cycles stir things up and portend change, this particular Full Moon Lunar Eclipse is accompanied by challenging planetary and nodal aspects which set it apart from recent ecliptic events. We are at the midpoint of this season of eclipses. We have already experienced the New Moon Solar Eclipse in Cancer on July 12th. We will have yet another Solar Eclipse in Leo on August 11th. All three of these are intertwined within a complex network of powerful energetic forces which compel and impell. This is a very long eclipse, of which its duration is 3 hours and 55 minutes. While we will not be able to view it from the United States, is has no less effect upon us. Eclipses shed a spotlight on a very specific realm of our life. They bear uncomfortability within the self. As the Moon becomes temporarily blocked by the earth’s shadow, obstructing the sun’s light, we are driven to temporarily dwell within the shadowy realms of our own psyches. In doing so, in allowing this process to unfold, we are facilitating the expressive release of our inner light. The greatest gold of our being lies beneath the shadow. The dark matter within the spiraling whirlpools of our psyches is being washed ashore. We are standing at the shoreline. Swim out to greet it. For many during this time, it is as St. John of the Cross referred to as “the dark night of the soul.” In the midst of this black night, we encounter our shadow. Welcome it. The acknowledgement of this painful realm of our consciousness longs for recognition and love before the light of transformation can stream forth to illuminate our way. This process may not be painless; yet, by embracing our inner sage, we can see ourselves to the other side of our current reality. We are in the throes of a paradigm shift within our own lives. The challenges of the human condition, whether within the realm of collective global events or personal human affairs, are heightened in such a way that it may seem that there is no hope; no way out or through. Eons of historic karmic inheritance are reigning upon us in ways which are provoking stress and sadness of an immense nature. There is trepidation of loss. Keep in mind; no matter what your life challenges may hold at this time, there is a magnitude of potential in which to eliminate our negative inherited karmic patterns so that we may reap the rewards of our positive inherited karma. The ground beneath our feet is shifting in seismic proportions. While this writing is not intended to portend such dire circumstance which appear as hopeless, it is helpful and validating to know that life as we know is being swept away so that we may open a portal into our own lives in which to make room and welcome the next level of our path. Relationships of significance, ones in which we have invested with our heart and soul, are falling away. The gravitational pull that we are experiencing is leading us to our greater good and the greater good of those around us. Even though the present circumstances may be devastating, take heart. I ask you to take heart. 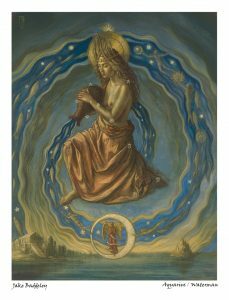 For in order to embrace and participate in our own unique and evolutionary process, crisis first presents itself thrusting us into a higher dimension of our core self. We are in the midst of casting off the dust and dander of negative patterns that have restrained us from virtually everything our hearts desire. We may not have recognized until now, the level of oppression, stress, and unfulfillment that we have been living with day to day for so long. Now, we have a golden opportunity in which to break free of calcified inherited negative karmic patterns that have inhibited and prevented us from harvesting the karmic gifts and rewards which we have earned from the distant past. We now claim an evolved karmic inheritance, one in which we have long awaited. We have been the road block to ourselves. Once we recognize that, we will emerge from this time facing a wide open highway that leads to a bridge to the other side, which if followed, will allow us to channel our highest self. New experiences lift us out of our comfort zones, no matter how negative and miserable they may have been. We have been comfortable in the most painful of circumstances, not knowing how to change; unable to gather the courage to take the leap. Now, we have no choice, for our circumstances will dictate the new directions in which to go. And yet within these unwanted experiences and situations, we have free will. We are endowed with choice. We can say Yes! Bring it on! Clear the way! Open your heart. Stride toward the unknown. This re-orientation is an initiation. Life as we have known it will be no more. Sadness may erupt. Allow the pain to flow through you. Tears cleanse the body and nourish the earth. 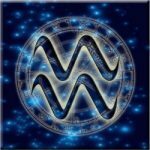 Within this pinnacle moment of high emotion, we have the crystalline, clear minded, detached, truth- sayer company of Aquarius The Water Bearer. Let the waters flow from and to you. What you have reaped, you will sow. What you have sown, you will reap. There is no duality of punishment or reward. There is only inheritance. Honor who you are, who you have been, and who you will become. Then is now. Now is Then. We are walking between the worlds. Aquarius Full Moon Eclipse Blessings Upon You. Things don’t just happen in this world of arising and passing away. We don’t live in some kind of crazy, accidental universe. Things happen according to certain laws, laws of nature. Laws such as the law of karma, which teaches us that as a certain seed gets planted, so will that fruit be. Stunning…in both meanings of the word. Thank you Donna, for your words have deeply touched me and have brought clarity in time of crisis..
Stunning…in both meanings of the word. Thank you Donna.